The Manager account is not the only way to be connected to the Artica Web console. 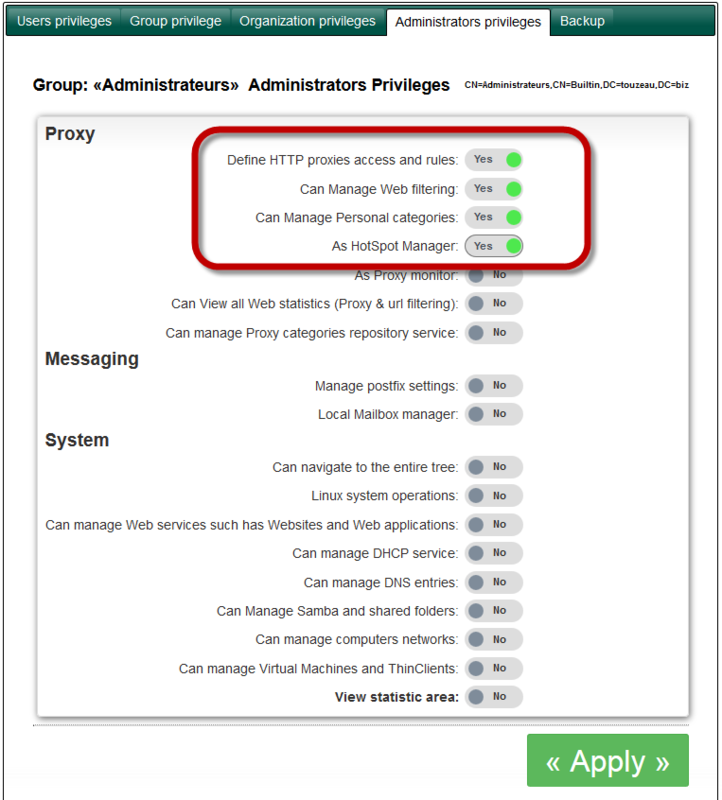 When Artica Proxy is connected to the Active Directory, you can define privileges according Active Directory groups. Click on the AD Members TOP menu. Search an user that you want to provide privileges. On the last column you can see groups of this member. Click on the privileges tab. Choose the Administrators privileges tab. 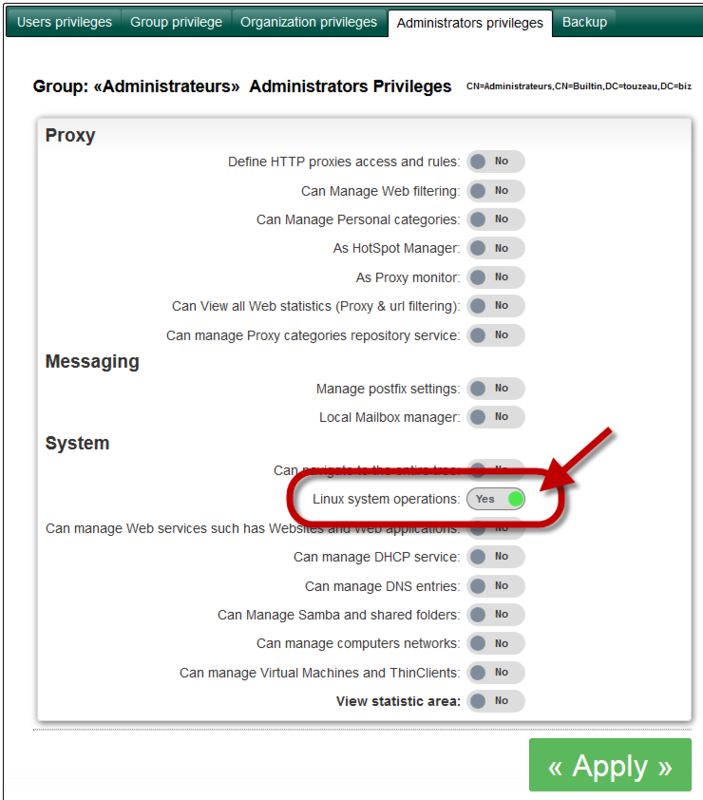 Privileges are defined for the Active Directory group. All members of this Active Directory group will have defined privileges when they using their Active Directory account on the Artica Web console login page. ← How to setup browsers for WPAD service ?